It's been an epic rally in stocks that has spanned over six years. There's little doubt the bull market looks fatigued, but don't bet on it calling quits -- at least not yet. That's the key takeaway from CNNMoney's survey of more than a dozen investing professionals. They believe, on average, the S&P 500 will claw its way to 2,155 by the end of the year. That's nearly 3% higher than current levels and would give the benchmark a 2015 gain of almost 5%. It's mixed news for investors. While people want to see another year of gains, 2015 would represent a slowdown. The S&P 500 surged nearly 30% in 2013 and advanced another 11% last year. 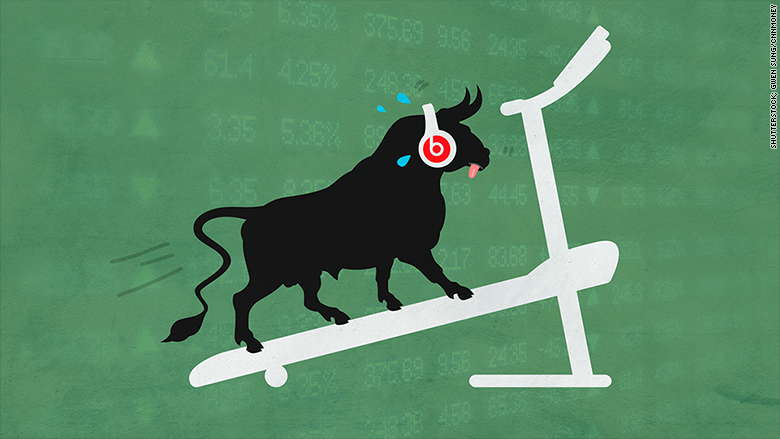 So what's holding the bull back these days? Profit growth vanishes: There are a handful of challenges facing U.S. stocks, but let's start with what's been dubbed an "earnings recession." Earnings will take center stage this week as corporate "report cards" are on tap from brand names like General Electric (GE), Goldman Sachs (GS), JPMorgan Chase (JPM), Intel (INTC), Netflix (NFLX) and Wells Fargo (WFC). S&P 500 companies are expected to reveal a decline in profits for the first time in several years. At first blush, that's pretty alarming news. Stocks go up when people expect earnings to be higher in the future. While this could be a temporary blip, there's added concern because stocks are on the expensive side right now. Earnings multiples, a common valuation metric, may not be able to expand much further. "We don't believe stocks can go up further due to multiple expansion as we are at elevated levels already," said Deron McCoy, chief investment officer at Signature Estate & Investment Advisors. 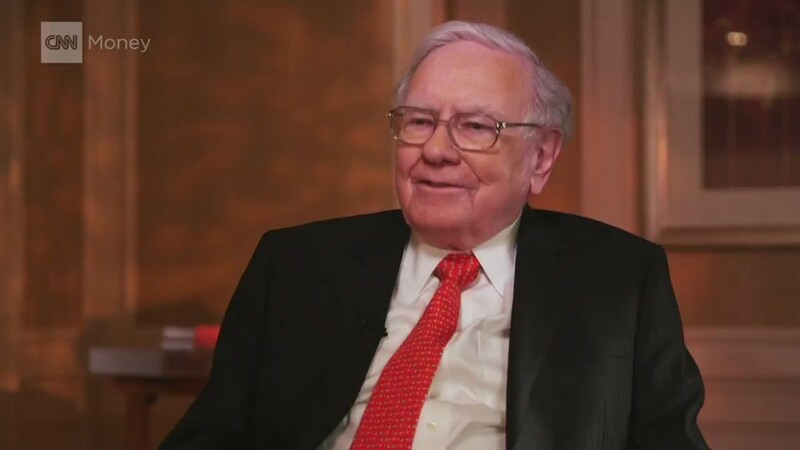 "Thus, earnings must propel stock prices. For this reason we see muted gains this year in U.S. stocks." First correction in four years? It's necessary to look at what is driving the lousy earnings. If it's the strong U.S. dollar and cheap energy prices, investors will likely shrug it off. While both of these factors are important, they are unlikely to last forever. There are already signs of energy prices stabilizing -- or at least not falling further. The general consensus is that the economy and Corporate America will rebound strongly in the spring and summer, much like what happened last year. Of course, all bets are off if it looks like the earnings decline is being caused by deeper economic problems and will stretch into the second half of the year. At a minimum, that could cause the market's first correction (a 10% decline from a previous high) since 2011. Weather slams the brakes on the economy: Much of that will depend on the economy, which stumbled way more than people anticipated during the first quarter. The Atlanta Fed downgraded its GDP forecast to zero, meaning forecasters there think the economy didn't grow at all in the beginning of 2015. "We suspect the overall economy is not as robust as reflected by most investors and the media," said Peter Jacobs, chief investment officer at Jacobs Broel Asset Management. However, there is reason to believe the economy was knocked off track by severe winter weather, and the West Coast port strike that disrupted trading activity. If that's the case, then the economy should bounce back later in the year. Will cheap oil finally energize consumers? The key to a second-half rebound may be consumer spending. So far, consumers seem to be hoarding, not spending, their gas savings. That's partially due to a fear that oil prices will spike back up to $100 a barrel. It may also be a hangover from the 2008 financial crisis. "We think much of this is the result of the scars, both physical and psychological, created by the Great Recession," said Kristina Hooper, U.S. investment strategist at Allianz Global Investors. But optimists believe that will eventually change, lifting the broader economy. "Expect consumers to 'step to the plate' as savings grow...and are eventually applied to home renovations, automobile purchases and leisure treats,' said John Stoltzfus, chief market strategist at Oppenheimer. Janet Yellen is watching: All of these developments will be carefully monitored by the Federal Reserve, which is poised to raise interest rates for the first time in nearly a decade. Wall Street now expects the first rate hike not to come until September. While rising rates can make stocks look less attractive, the Fed has signaled the pace of liftoff from near 0% interest rates will be gradual and delicate. After all, Fed chief Janet Yellen knows one of the worst thing for consumer spending and the broader economy is a tumbling stock market.